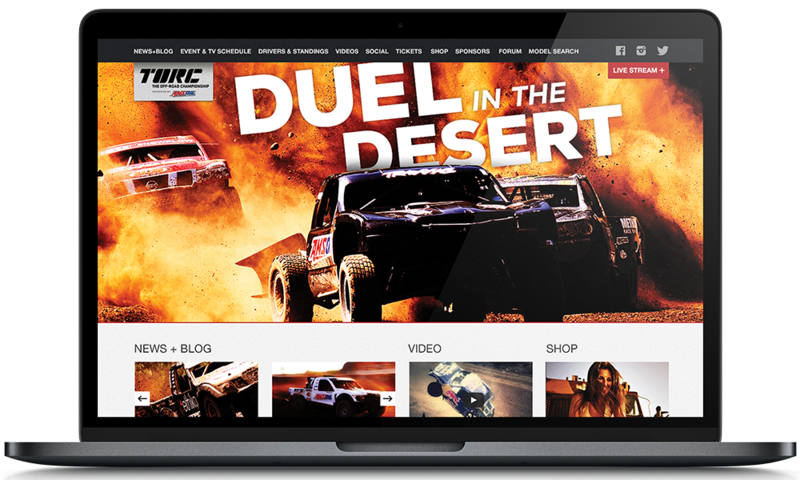 TORC: the Nation’s premiere Off Road Truck Racing series came to The Armory seeking a brand overhaul. Every touchpoint was refreshed with a heavy focus on mobile, social media, digital and content. The result of these efforts was seen via an exponential increase in event attendance, TV viewership, social media conversation volume and content consumption. The Armory delivered dozens of 30min, 60min and 90min shows to Fox Sports, NBC Sports, Velocity and Discovery. From HD Production Trucks to Reality TV production crews of 50 or more, The Armory produced hundreds of hours of television programming for TORC. Producing events for crowds as large as 50,000 creates checklists a mile long. The Armory handled complete event production handling every facet including design, promotion, media, ticketing, security, licensing, catering, hospitality, pyrotechnics, and overall show management.